Zombies, Run! 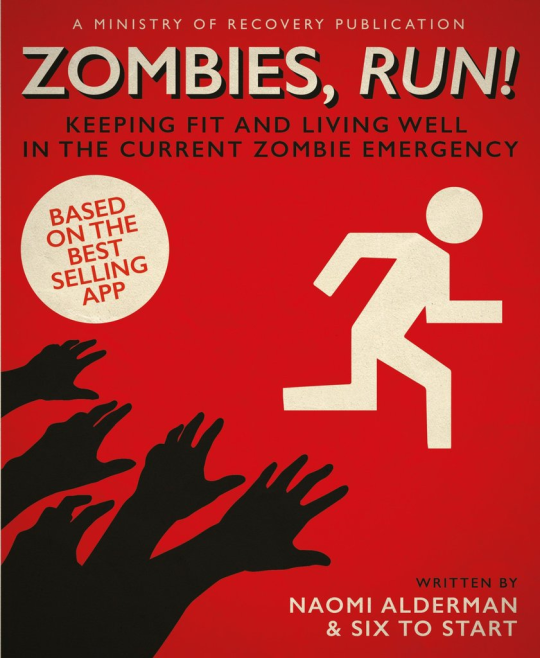 The Book Club – Zombies, Run! With the release of our very own Zombies, Run! Book last month, the Township is celebrating with a new Abel Book Club, a.k.a the End of the World Book Club. Every week you’ll find a new post on each section of the book. We’ll have pictures of how we filled the book in, of the gorgeous art included within, as well as discussions on the Ministry of Recovery’s advice. But, of course, we also want to know what all you Runners 5 out there think! The book club will be taking place in our GoodReads group, ready to begin reading next week. If you don’t have a GoodReads account, we recommend joining, but you can still read all the posts even if you aren’t registered! Want to join us by reading along? All you need is a copy of the book! You can purchase a special signed edition hardback from our store, or a paperback copy from Amazon & any good bookshop. On top of that, we’ll also have interviews with Naomi Alderman, lead writer of the book, and Kascha Sweeney, who provided the illustrations! We want to answer your questions – so Tweet us using the #zrbook hashtag, and we’ll pick out our favourites. Look at for the first post on November 30th, when we’ll be discussing Home Front, the first section! Next Post The ZR Book Club Begins!